There are a lot of similarities between making movies and starting companies. Film producers and directors are as much entrepreneurs as anyone who might create or aspire to create a Silicon Valley startup. 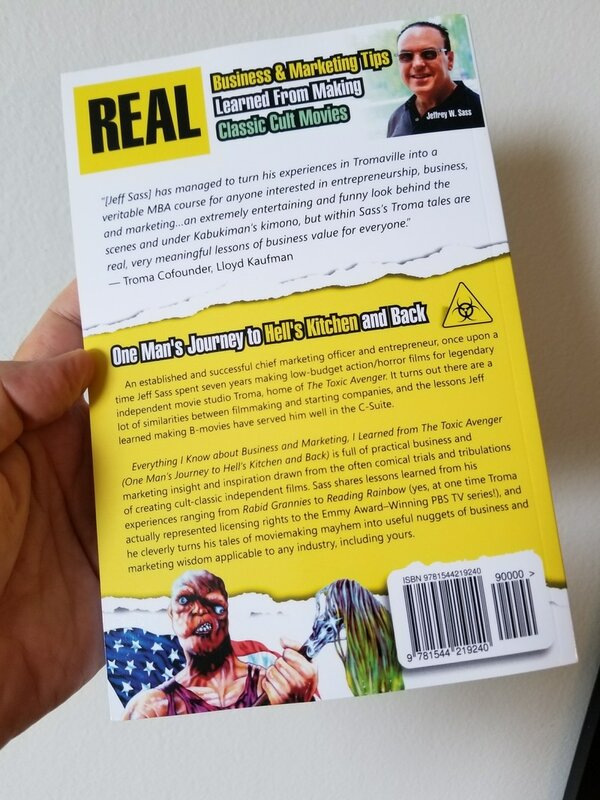 The purpose of this book is to draw valuable lessons in business and marketing from my experiences making movies - not in Hollywood mind you, but rather, in Tromaville. Since my filmmaking days, I’ve been a startup co-founder, COO, CEO and currently a CMO, and I don’t think I could have ever survived the “C” suite if I hadn’t had the experience of making “B” movies. This book was inspired by this presentation. Stay Informed & Get Extra Content! Are you a blogger or podcaster? Do you want to receive a review copy? Please contact me.